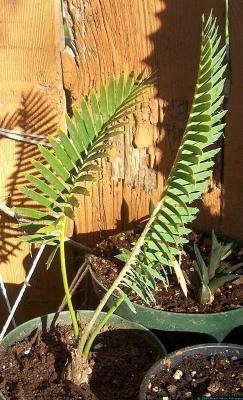 I treat it like a Sago palm with good light and water during the warmer months. It's very slow growing. No pests that I know of here in south Texas will touch it. I'm not sure what species of Dioon (Dionne? Dioone?) it is, but it doesn't care, so I'm leaving it at that for now.